Knoxville is exactly what people declare it to be: a hidden gem. First-time visitors are typically amazed by all the city has to offer. In this one, unique location, mountains meet music… art meets adventure… culture meets cuisine… and no one meets a stranger. The pure walkability of downtown allows people to explore and discover vibrant murals, local music, historic sites, art museums, parks, greenways and more. With its sophisticated mix of culture and cuisine, served up with genuine hospitality, Knoxville will surprise you. Located just off I-40 and I-75, just minutes from I-81, Knoxville is within a day’s drive of half the continental United States. 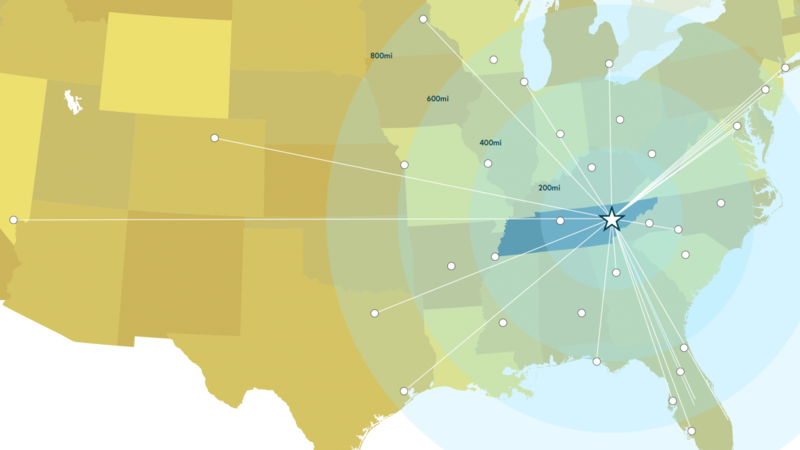 Knoxville also boasts 120 daily flights from more than 20 nonstop destinations from McGhee Tyson Airport (TYS), 12 miles from downtown.